Corporations: A Corporation is treated as a unique business entity separate from those who own it. Because a Corporation is considered a unique business entity, the company does not dissolve when ownership changes. 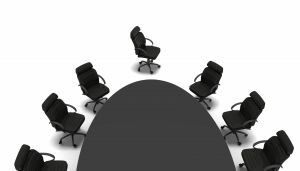 Under the corporate structure, shareholders are the owners of the corporation and elect a board of directors to oversee major policies, procedures, and decisions. Advantages of the corporate formation include ease of transferability of ownership (selling ones shares), limited liability for shareholders concerning debts or judgments against the corporation, deductions of the cost of benefits provided to officers and employees, and in certain circumstances advantageous tax rates. The Corporation must maintain corporate formalities. Partnerships: In a General Partnership, two or more individuals share ownership in the business entity. The law does not distinguish between the business and its owners. The partners are liable for the debts and obligations of the partnership and are taxed on an individual level. The transfer of individual ownership usually requires the consent of all partners. The advantages of a general partnership include relative ease of formation and greater control over the management of the business. Limited Partnerships consist of at least one general partner (which may be a corporation) and at least one limited partner. The general partner manages the business’ day to day operations and is liable for the debts and obligations of the partnership. The limited partner is a passive investor. A partnership agreement spelling out the rights and obligations of the partners is needed. The advantages of a Limited Partnership include greater control of the management of the business for the general partner and the ability to attract investors seeking limited liability. Limited Liability Companies (LLC): An LLC is an unincorporated entity formed under state law whose owners are not personally liable for the debts, obligations or liabilities of the business. It is best described as a hybrid between a corporation and a partnership. The LLC’s members manage the business like a partnership and are taxed on an individual level while being afforded liability protections similar to that of a corporation. The advantages of an LLC include the limited liability afforded its owners, individual tax treatment and less formalities to maintain than a corporation. As business owners and new entrepreneurs navigate through the maze of information on the internet, they quickly discover a diverse range of views regarding the advantageous and disadvantageous of the various forms of business entities. The bottom line for any new or existing business considering incorporation or other business form is that the right decision is unique to your business. Learn as much as possible from all available resources before taking the next step. Contact a San Diego business lawyer to discuss your options. The choices you make can have a profound impact on the future of your business.